Clients and potential consumers inadvertently judge your personal brand appearance through processing visual information in their brain. Approximately 30 percent of the human brain is made up of neurons that process visual stimulus, which means that it is imperative to accurately represent your message, convey your brand, and encourage customers to take the desired action. You must first determine the reaction you want to trigger in people that come into contact with your brand and let it guide you through the development of your full identity. Much of a brand is based around colors and fonts that provide the perfect impression. A little research into color psychology can be especially beneficial during this step. If you haven’t heard of this before, color psychology is the study of hues as a determinant of human behavior. Entrepreneur.com provides an entire article titled The Psychology of Color in Marketing and Branding, which outlines the impact of colors. For example, green relays a sense of peacefulness while yellow can bring forth optimism. Red can exhibit excitement while blue indicates trust. 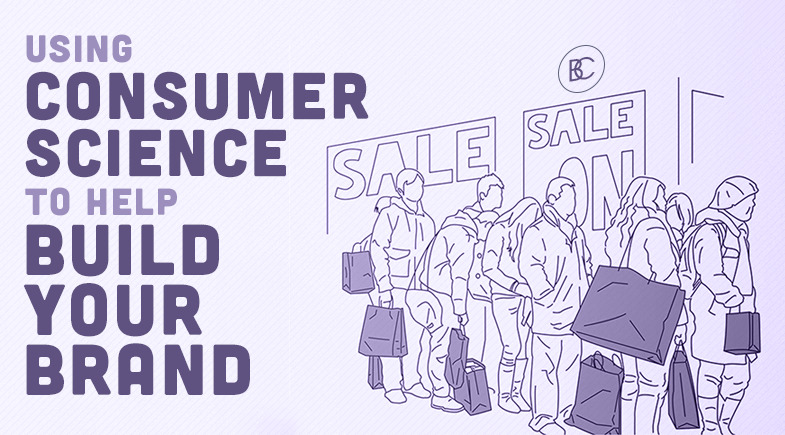 According to a study conducted by Satyendra Singh, consumers make up their minds within 90 seconds of their initial interactions with people and products. Within that assessment, between 62 and 90 percent is based on color alone. Additionally, you need to identify what words and fonts are associated with your brand. While you might find a simple header or body font in the basic options of your computer, you will most likely need to look elsewhere in order to truly make a distinction of your brand. Although typography does not have any specified rules to follow, it is best practice to have contrasting fonts through a unique interplay of categories, weights, and sizes. Furthermore, font trends exist within specific industries that can represent emotional attributes. For example, geometric fonts represent cleanliness and simplicity that are seen across many technology brands while fashion brands lean towards high contrast, modern designs with elegant hairline curves. Regardless of what typography you choose for your brand, ensure that it is consistent across different communication channels to develop a sense of loyalty. The most important takeaway from this is that your brand colors and fonts are a harmonious system that must work together. Your brand should deliver a visual message to your consumers and should enhance your core values. The sandbox of emotion is at the tip of your fingers, so while it is important to trust your gut, make sure to have fun with it. Your brand represents you and the creation should feel comfortable and confident. If the color or font doesn’t mix right it your mind, it probably isn’t for you. Brian Cozzi, Inc. is known for working closely with clients in order to develop the most unique and tailored brand identity as possible. If you are looking for experienced professionals who have a wealth of knowledge in creating vibrant designs, contact us today! 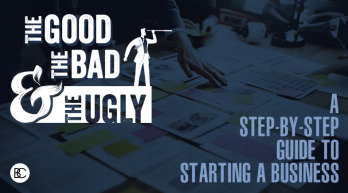 So you want to start a business but you don’t know the steps to take to get there. Entrepreneurship is no simple journey. It entails a significant amount of time, hard work, failure, and rebuilding. But a true entrepreneur is not afraid of the struggles that come with such a rewarding endeavor. If you are ready to start your company, there are quite a few things to know and steps to follow before taking the plunge. Being a small business owner means wearing a lot of hats ranging from a customer service representative, accountant, and project manager. This leaves little room to focus on marketing. 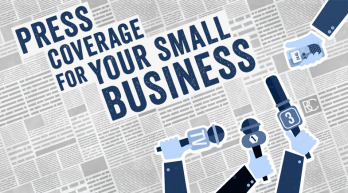 One of the best ways to market your business is through local press coverage. The primary goal is to attain new customers and make your business known. While media coverage is a goal of many businesses, it is a tedious task. Copyright © 2019 Brian Cozzi, Inc. All Rights Reserved.